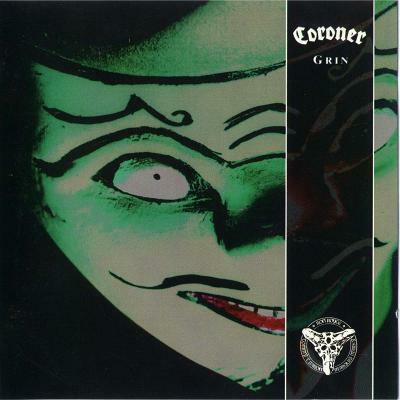 Grin is the fifth and most recent studio album by the Swiss thrash metal band Coroner, and was followed by their self-titled compilation album, Coroner. It is the result of the progression of their sound from previous albums, mixed with a more 'laidback' and experimental style which features a lot of repetition and longer song lengths, as well as use of ambience and samples in some tracks. The album split the band's fanbase - some thought it was their crowning achievement, and the pinnacle of their songwriting, while others accused them of 'selling out'.